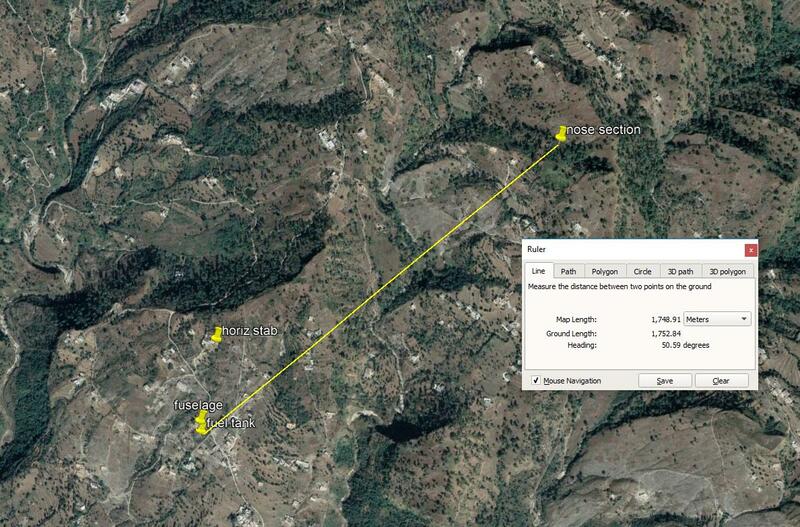 Does anyone know what missile was used to bring down the Pak drone in Rajasthan by a Su-30 after Balakot? A retd Arty officer confirmed we never used it. The two jets (PAF and IAF) crashed in Bhimber district..
A couple of aviation SMEs (incl Angad Singh) have stated that the drop tank is a PTB-800. It is a 800 Litre Centerline Drop Tank. In the balakot complex, that big building is supposed to be a lecture hall... at 3am that place would be likely empty with both trainees and trainers fast asleep in their accommodation. Why would the IAF strike that building at 3am if its purpose was a lecture hall? habal wrote: both Haider & Ali are usually names sported by shia. Is Haider Shahbaz Ali a Shia name..? Has anyone seen their AWACS flying on flightradar? In the air raids, the PAF targeted a Brigade HQ, A Battn HQ and a Ammo Dump..
As per the twitter user bababanaras, recently a PA Ammo Dump was destroyed by Arty. Not sure how reliable this is.